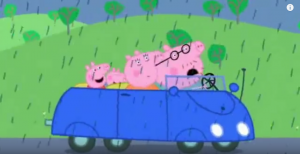 【日本語訳付き】Peppa Pig フレーズ集　The New Car 編 | English Culture for Kids! Narration: Oh dear. The car does not sound very well. Narration: Granddad Dog runs the garage. 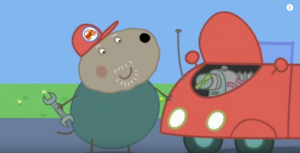 He is very good mending cars. Granddad Dog: Yes, but it will take all day. 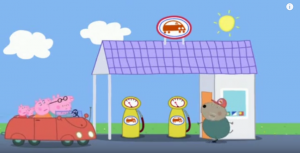 Narration: The new car has squirted Daddy Pig with water. 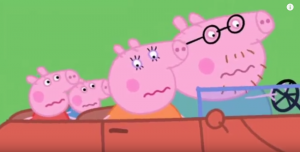 Narration: Daddy Pig has forgotten which button closes the roof. Oh I forgot to do my home work! I think he has forgotten to do his home work! Daddy: Thank you Granddad Dog, and keep the change. 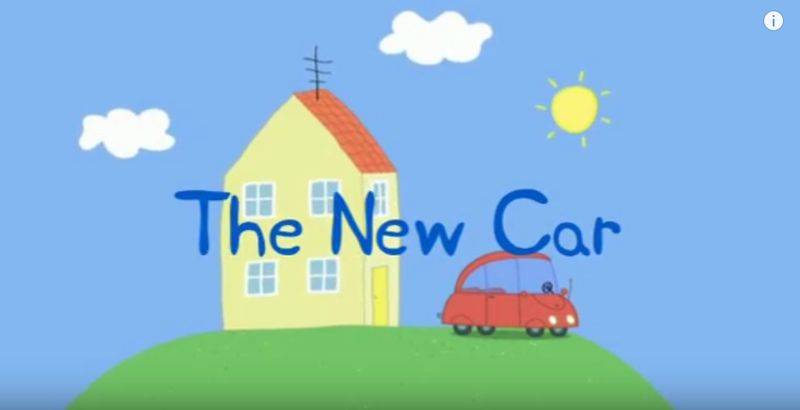 Peppa: I like the new car, but I like our old car better.